Thank you for your interest in supporting The Ursuline School. Ursuline is a nonprofit 501 c(3) organization. We are a Catholic, independent school and, as such, our tuition deliberately does not cover the cost of educating each student. We count on donations to the Annual Fund to help cover the difference. It is the Annual Fund, in conjunction with endowment and auxiliary income as well as grants that bridge the gap. Every year, the Ursuline community- trustees, alumnae, current and alumnae parents, grandparents, faculty and staff - is asked to support the Annual Fund which provides approximately 6% of the school's operating budget. Foundations and corporations are also solicited for donations. 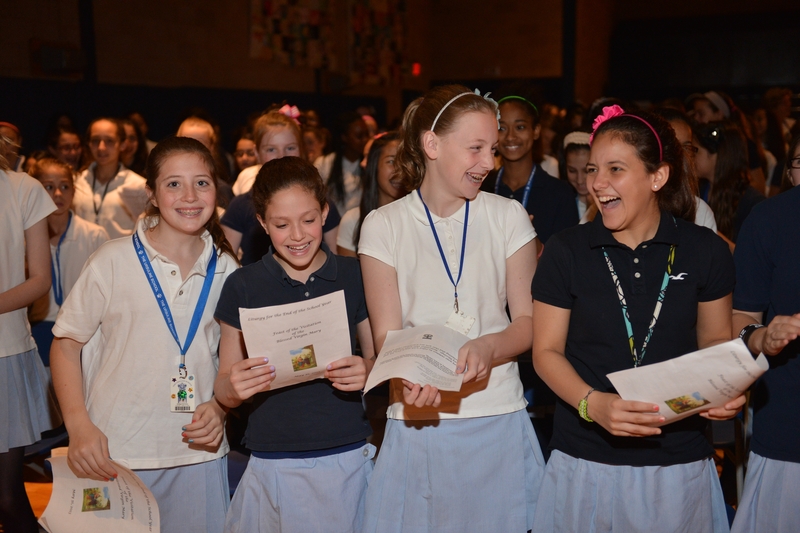 Often, their level of support depends on the participation of the Ursuline community. The Annual Fund is the single most important way you can support the school. Unrestricted Annual Fund gifts allow the school to direct your donation to where funds are most needed, providing the flexibility to respond quickly to changing circumstances and to take advantage of unexpected opportunities. Unrestricted gifts are essential to providing the quality education Ursuline is known for while keeping tuition increases to a minimum. Restricted Annual Fund gifts allow you, the donor, to determine where your donation is to be directed. Ursuline has general endowment funds for scholarship/financial aid and professional development for faculty. You can also choose to contribute to specific scholarship funds. Philanthropy is a very personal decision. However you choose to support Ursuline, be assured of our sincere gratitude and the knowledge that you have made a wise investment!